Victor Betzold had a Camp Perry experience for the ages. 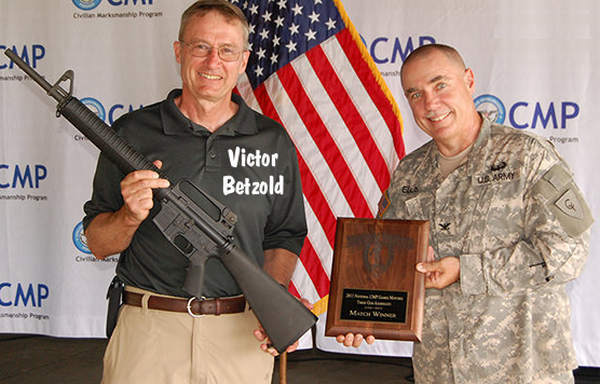 At the 2015 CMP Games, Betzold won the Garand Match, won the M1 Carbine Match (setting a new Record), and took the 3-Gun Aggregate for the second year in a row. Now that’s an impressive performance. Betzhold is no stranger to shooting – beginning in junior high and firing well into college, then taking his love for guns into the Army. After the years went on and work and family became higher priorities, he fell away from the sport he loved. But now that he’s retired at age 60, he’s had time to practice again – practice that has certainly paid off. During his remarkable showing at the National Games Matches, Betzold won the Carbine Match with a score of 375-6X, setting a new National Record in the process. In the National Garand Match, Betzold fired a score of 290-7X to become the overall winner of a field of 1213 competitors. “It feels great,” he said. “I’ve been working at this for a long time.” The 60-year-old Betzold was also the top senior for both the Garand Match and the Carbine Match. With his outstanding performances in the Garand and Springfield Matches, as well as an exceptional seventh-place finish in the Vintage Military Match, Betzold claimed the 3-Gun Aggregate title for the second year in a row — with a combined score of 865-19X. Lady Competitor at the Garand Match (file photo). To review complete results for all CMP National Match events at Camp Perry, visit the CMP 2015 Trophy Matches and SAFS Results Page. Share the post "Old Guys Rule! 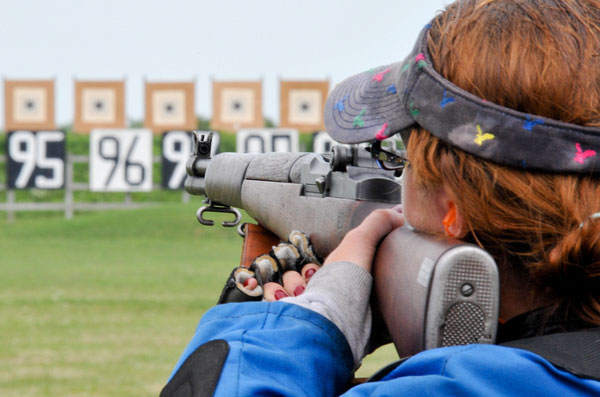 60-y/o Betzold Wins Garand and Carbine Matches"